Look at this lovely little blue-grey building, tucked into the Thames foreshore at Clink Street in London. Let's call it Wharf W, because it is not just a place but also a parable. 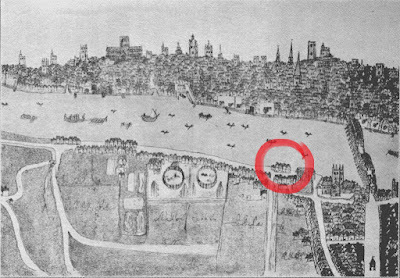 Back in 1580, when this sketch was made, an older wharf stood on the same spot. Wharf W is part of one of the 2007 Southwark Plan’s "Landmark views", being in the prospect of the Scheduled Ancient Monument of Winchester Palace, the seat of the Bishop of Winchester from 1150 to 1626. Such views, according to the Plan, should be ‘protected and enhanced’. 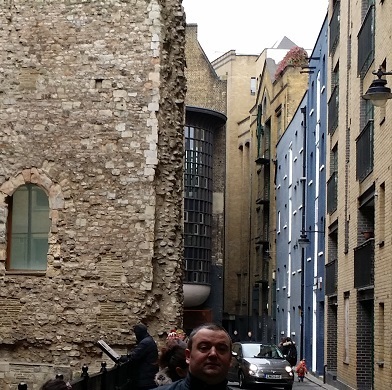 Clink Street itself is a part of the Borough High Street Conservation Area, which includes the historic market and Southwark Cathedral. Fromm 1462, the Southwark Fair was held a stone's throw away. Shakespeare's Rose and Globe Theatres were within shouting distance. 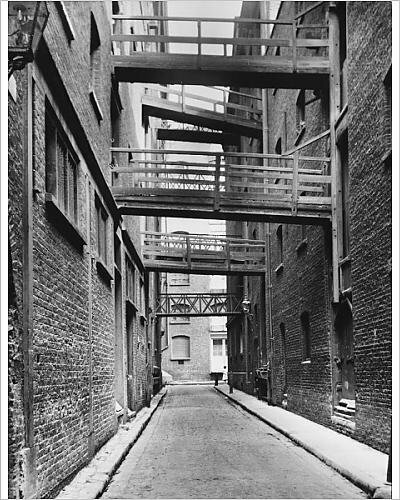 In the 18th century, when the foundations of Wharf W were laid, Clink Street was lined with the establishments of millers, lighter men, and the merchants of coal, wood and ivory. It is the unspoiled austere character of these riverside warehouses that drew me to this area fifteen years ago. There was something irresistibly authentic about them. No one had been allowed to prettify them, pastiche them or make them seem like something they were not. They are hardworking industrial buildings, the kind that would tip their hat to a passing toff, saying ‘Morning, guv’nor’. And then get on with the job. The street was largely destroyed by fire in 1812 and 1814. But Wharf W was rebuilt in its original sturdy, serviceable fashion. Business continued as it ever had. My roof still has the old pulleys used to lift bales of hops, malt, hay and fuel from ships that arrived from Kent. 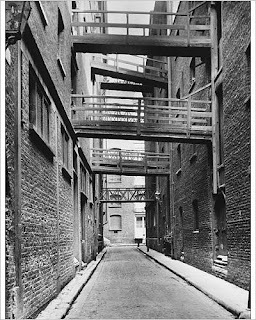 The hops would be wheeled across suspended walkways to what is now Victor Wharf, where a huge grindstone survived until a direct hit by a bomb in 1941. 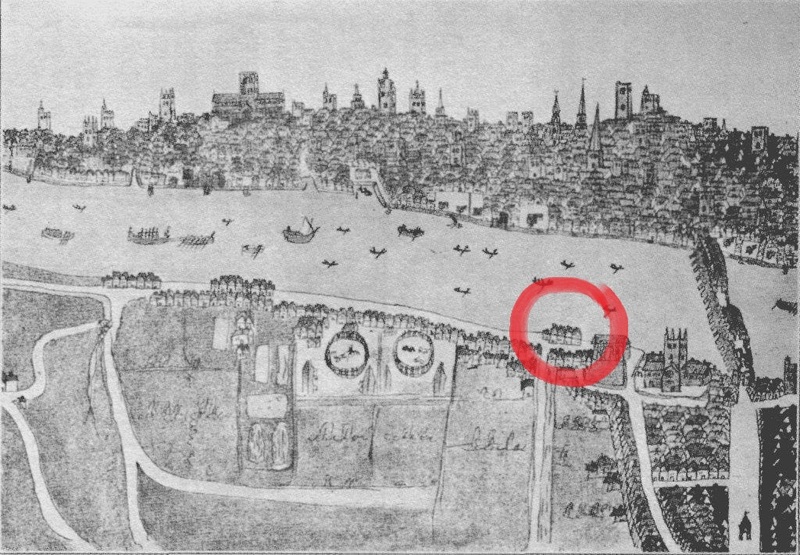 I’ve set two of my novels, The Remedy and The Mourning Emporium, around Clink Street. Other novelist friends have used Wharf W as the settings for scenes in their books, notably Nick Green in his Cat Kin trilogy. And before us, Clink Street inspired Dickens, who set scenes from Barnaby Rudge here. 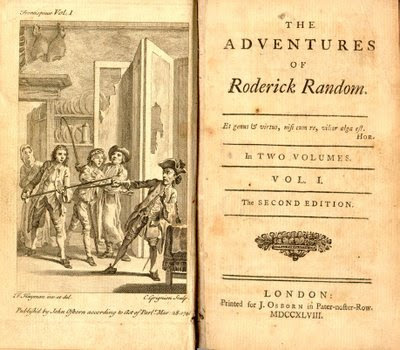 Tiny cobbled Clink Street had its own tavern, The Bell, the haunt of watermen, smugglers and press-gangs ready to prey on the likes of the eponymous hero of Tobias Smollett’s The Adventures of Roderick Random. The austere dignity of Wharf W has survived the passing of two hundred years. It survived the closing of the Thrale brewery that dominated the area’s commerce since the times of Samuel Johnson. It survived the Great Depression. It survived the Luftwaffe, unlike the grindstone next door. It survived a period of dereliction in the mid twentieth century, followed by a long occupation by squatters. The dignity of Wharf W next survived developers, who made sure that the sober old façade stayed simple and unaccessorized when they had the building re-zoned for residential use at the end of the last century. The best protection for antique buildings, according to English Heritage/Historic England, is to have them occupied by people who willingly undertake a caretaking role. That’s how it has worked at Wharf W. People who have come here have stayed here. It’s not an exaggeration to say that we love our building. For all its sober aspect and its expensive maintenance habits, Wharf W has for the last fifteen years remained as full of life as it is of history. Wharf W’s dignity also survived a Famous Multinational Chain of Coffee Shops, the ground floor tenant, for more than a decade. Famous Chain was not allowed to customise the building with its usual illustrated and coloured logos but was restricted to a simple black sign in keeping with the sobriety of the industrial building. But that dignity has not survived this terrible year of 2015, in which Southwark Council, together with Famous Chain, has allowed this poor old wharf to be subject to a brutal and cynical re-invention. Wharf W has become almost literally a cartoon, its authenticity undermined and its honest aesthetic compromised. I was awoken one Sunday morning in January by violent drilling deep in the bowels of the building. It was so loud that I feared that our flood defences were falling. I rushed downstairs and had time to glimpse the entire premises gutted before I was rudely ordered out. Famous Chain had sub-let the space to a new tenant who didn’t think it was necessary to seek Listed Building or Building Regulations consent to gut the ground floor of a Listed building – one that is 85 percent residential – on a Sunday morning. That was just the beginning. The same Famous Chain sub-tenant then illegally opened louvres, hung racks of merchandise in the public realm, added advertising balloons. Outsize cartoon doormats were placed in the entrances. A glass kiosk was built where the fire escape used to be, and was deployed for hanging more merchandise. Garish and illegal A frames jutted out into the narrow street. All this was upsetting, but what was truly shocking was the lighting. Thirty-eight large and powerful floodlights were inserted in the ceiling. Six advertising neons were positioned to be visible from the apertures. Illuminated Coca Cola advertising was also angled to be seen from the wide doorways. And a multi-coloured floodlight was positioned above the doorway to send violet, orange, magenta and blue rays into the street, changing every three seconds. Our sober old wharf looked as if an alien spaceship had landed inside it. But that was not enough for the Famous Chain sub-tenant. He demanded to open up more display space for his goods by removing a series of wooden louvres: he considered it his right to rupture the continuous plain surface that is the defining architectural characteristic of Clink Street. His plan was to replace that plain exterior with textural and tonal mishmash of doors, windows, merchandise and furious illuminations visible from the public realm. His proposals meant that the proportion of solid historical brick to commercial window space would be reversed at street level. There would be less of the Listed building’s quiet fabric, and more of the Famous Chain's sub-tenant’s loud merchandise and screaming lighting on view. You would think that a Grade II listed building of this nature – and in this place – would be protected from such treatment. You would think that the Design and Conservation team, the Planning Enforcement team, the Highways enforcement team would all be on the case to put a smart stop to such a grim transformation in one of the oldest quarters of London, especially one proposed by a trader with a year’s history of non-compliance and unauthorised works. I suspect that, in many other boroughs, those teams would be on that case. But on December 1st, the London Borough of Southwark’s Planning Committee granted the Famous Chain's sub-tenant permission to do everything he asked to do to this building, on the recommendation of the Team Leader, Design and Conservation. This officer told the Committee that the sub-tenant's proposed changes to the building were for the benefit of the public, and that they would enhance the historic context. 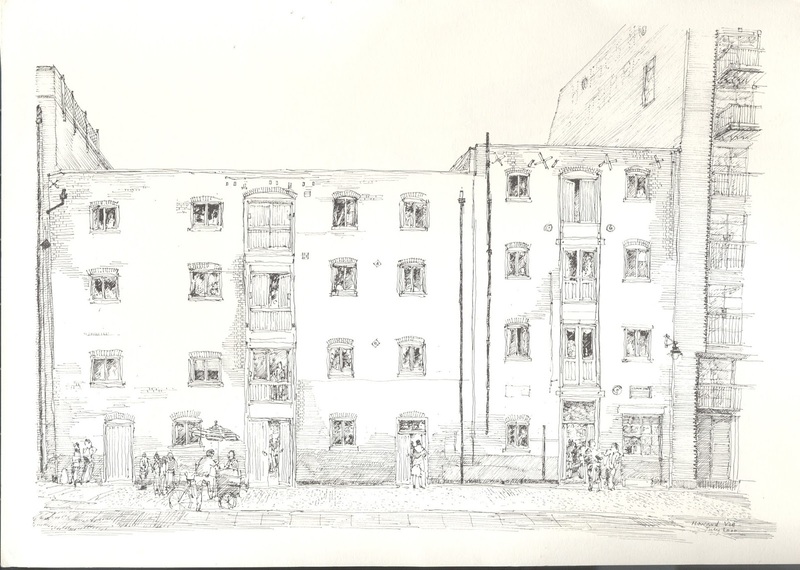 This was despite eloquent speeches from our Ward Councillor and from our resident representative, defending the historic fabric of Wharf W. No site visit was recommended by this officer, and the decision was made on the basis of two small black and white drawings. The world knows about the Famous Multinational Chain of Coffee Shops and its tax affairs. Famous Chain is not so well known as a player in the U.K. retail property market. In fact, they had been reasonable neighbours until they moved out and sub-let to our new occupants. But unfortunately Famous Chain's ‘Asset Manager’ wished his sub-tenant all the best with the applications, and refused to enforce aspects of the lease that would have helped protect Wharf W, which is of course a heritage asset by all legal definitions. But for Famous Chain's Asset Manager, it is, apparently, just an asset. With that attitude struck, the path to the destruction of Wharf W's dignity was set. The whole episode has distressed and baffled the 118 citizens of Clink Street who fought against it on the legal grounds of Conservation, Design and Amenity. 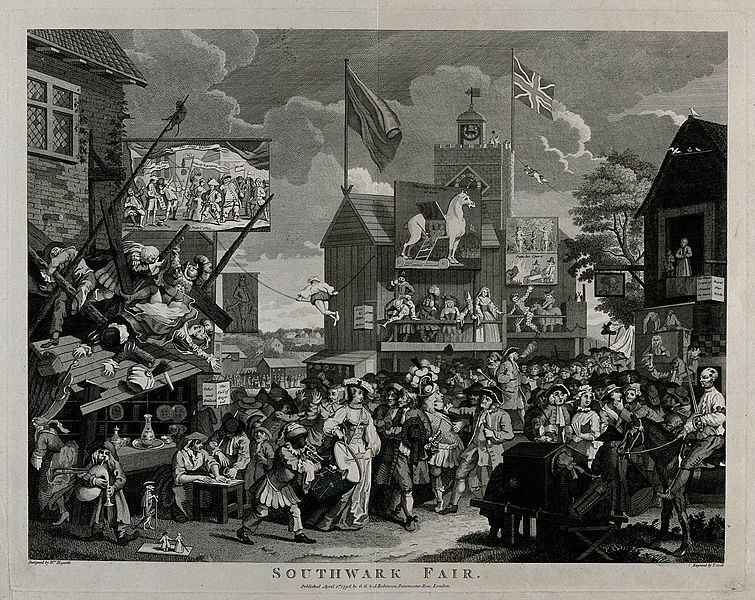 Also against the humiliation of Wharf W were the Trustees of the Borough Market and Southwark Cathedral. Our united voices counted for nothing against the commercial imperatives of a shop that employs no local people, sells nothing that we would want to buy (which would count as 'sustainable development') and sources most of its merchandise in far countries. I could at this point cite the statutes about advertising in the Town and Country Planning Act of 1990. I might mention the City of London’s Unitary Development Plan’s insistence that careful control should be exercised over advertising by the River Thames. I could also talk about the absolute priority that should be given to Conservation over private profit, as clearly spelled out in the National Planning Policy Framework when defining public benefit. I could also quote Southwark’s own Conservation Appraisal about this very area, stressing the need to protect the heritage assets. Then there’s Southwark’s ‘Revitalise’ Core Strategy April 2011, which promised that any new development would conserve or enhance the borough’s heritage assets, their setting and wider historic environment, and that local shops should serve local residents. Not to mention the Southwark Plan’s promise that alterations to existing buildings ‘should embody a creative and high quality appropriate design solution … preserving or enhancing the historic environment.’ I could bore you at length with extracts from The National Policy Reference guide, the Communities and Local Government Outline for Advertisers, which states that planning authorities must exercise particularly strict control over advertising in conservation areas, and the Highways Act 1980 about illegal A frames being placed in roads. And indeed we did quote all these things when we tried to fight the applications to change Wharf W. We also quoted them when we asked Southwark to deal with the many things that Famous Chain's sub-tenant had not bothered with applying for – but had done all the same. Our local Ward Councillors quoted them too, when trying to get the illegal incursions into the public realm curbed. We might as well not have spoken. Our case was dismissed. Enforcement was promised but enforcement has not happened for a year. 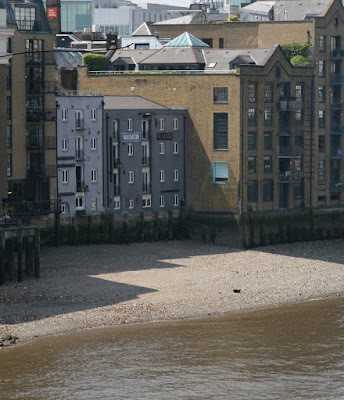 The message is clear: if a Grade II Listed Wharf, a heritage rarity, cannot be protected in Southwark, then Conservation is demonstrably not a priority here. If we want to live somewhere where historical building stock is respected, well, we shall have to move. I have learned a hard lesson, and have been forced to understand that the Juggernaut of Profit is not to be stopped, at least not in Southwark. So instead I would like to talk about something else that I discovered when researching planning law in an attempt to protect Wharf W from Famous Chain's indifference and its sub-tenant's uncompromising commercial imperatives. In 2003 UNESCO undertook a Convention on 'Intangible Heritage'. I saw our street’s pain at Famous Chain's sub-tenant’s depredations as a manifestation of intangible cultural heritage. The hundred or so of us protesting the changes constitute a generation of urban regenerists, who moved here because Southwark planners originally envisaged this area as residential, sanctioning the development of our wharves, now all homes to citizens who vastly outnumber the businesses in the street. Yet these same residents work with local businesses to achieve management agreements where possible. They patronise the local cafés and restaurants; they shop at the Borough Market; they worship at Southwark Cathedral. Businesses and residents had naturally joined together to protest against the proposals for doing to Wharf W what even Disney, I suspect, would not do. Now Southwark Council has effectively privileged the Famous Chain's sub-tenant’s ‘right’ to profit at the expense of the historic fabric of the street - and this has created upset in the Intangible Heritage of the street. Both intangible and tangible heritage counted as nothing on December 1st. When I wrote that post, I had no idea that Southwark Council’s Design and Conservation Team would be sending something so much worse our way. Southwark may not be a uniquely rotten case. 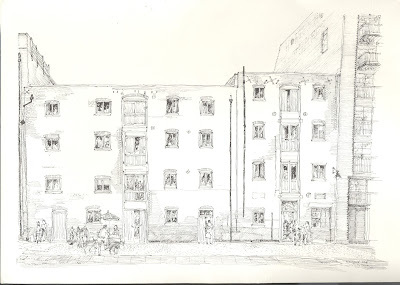 Those of you who live in or around historic housing stock – you too may be shuddering as the rank winds of commercial privileging rustle hungrily around your fragile old buildings. History draws people to places. Footfall means cash opportunities. One person's heritage asset is another person's profit centre. Something is happening out there – something that’s not good for the fabric of our heritage. You will notice that I’m not showing any pictures of what the Famous Chain's sub-tenant has been allowed to do to Wharf W, thanks to Famous Chain's Asset Manager and the Design and Conservation team at Southwark Council. I consider it kinder to allow reader of this blog to enjoy Wharf W the way it used to look. Meanwhile, perhaps to celebrate his victory, the Famous sub-tenant last week put an extra advertising A frame out in front of Wharf W. It was as ugly as the other A frames. It was illegal as the others and it humiliated this dignified old building just a little more. In terms of the apparent demise of planning and conservation control in Southwark, I would also mention the Golden Hinde shop in Pickfords Wharf and the ship itself. (Have you seen them recently? Ship lit up with blue lights at night right up the masts). 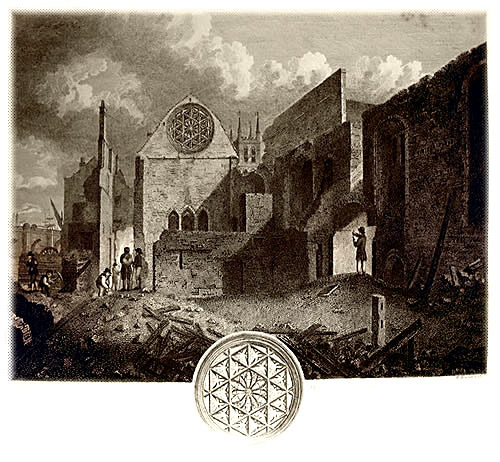 It's all the worse for being an affront to the cathedral and palace.It seems that anything old is just to be obliterated with trash.I think to tackle Clink Street as a whole entity would be helpful to everyone. 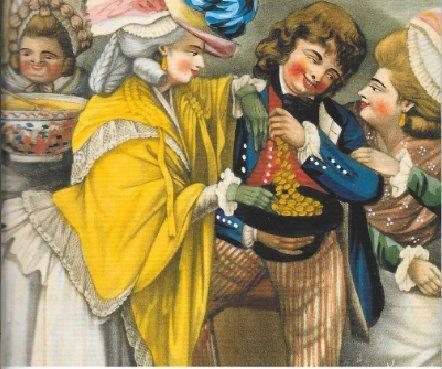 After all the Golden Hinde set a precedent in tawdriness for the Famous Chain sub-tenant. Although Pickfords Wharf isn't listed I believe it is of historic interest (dating to 1840 I think and is part of an important waterfront warehouse history). Oh how desperately upsetting. Is there no petition I can sign, or any way to at least mark protest? I've used a version of your flat in my new novel (out next year) but haven't mentioned either the street or the area in too much detail. Deliberately...I've acknowledged you, of course in the book, but it's good that in fiction I can ignore all these recent horrible developments. Outrageous. One of the most beautiful corners of London. I just wonder to myself, WHY? Why would a council allow the ruination of something irreplaceable, just so a famous brand can open another unnecessary outlet? It seems listed status only applies to those who can't afford to flout it. I was put off buying a beautiful Grade 2 listed home because of the responsibilities. If I'd been Famous Chain, I presume I could have just turned it into a burger joint and no-one would have stopped me. Thank you so much for your support, everyone. We have now exhausted all the legal challenges of defending the wharf. We're at the end of the line. So this is just a cry of pain and regret, and a meditation on Intangible Heritage, which I find a very interesting concept. Perhaps we writers of historical fiction and non-fiction could also be termed a tribe that manifests Intangible Heritage. At least, we shall always try to re-conjure lost heritages in our writings. This makes such sad reading. I'm so sorry, Michelle. How horrible! This is the hideous face of deregulation, and NOTHING, as you say, is safe. The god of the Market reigns supreme. Do let us know if there's anything we can do, though..
we cannot remove the A frames as they are private property. The council has written to ask the merchant to remove all his illegal advertising 'forthwith' but thus far the merchant has ignored them, as he knows he can, from a year's experience of same.